Rondon talks confirmed – NUFC now pushing to secure surprise ‘swap deal’ with West Brom – NUFC blog – Newcastle United blog – NUFC Fixtures, News and Forum. 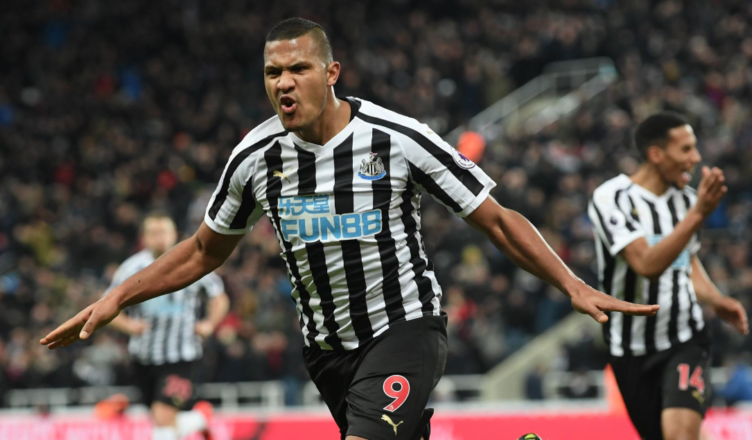 As confirmed by the Telegraph’s Luke Edwards in the last few moments, Newcastle are now pushing to secure a deal to sign Salomon Rondon BEYOND the end of the season. The north-east reporter states that the club are in talks with West Brom – claiming the ‘most likely scenario’ is that we agree to sign him on ANOTHER season long loan, with us allowing then allowing the Baggies to sign Jacob Murphy on loan as a result. As far as any permanent deal is concerned, he claims West Brom want £15m for the striker – which seems excessive given his current deal expires in just 12 months time. “Right, so here is the thing. The mystery striker Newcastle United are trying to sign is in fact Salomon Rondon, who is already playing for the club, wearing the number nine shirt and doing rather well, it has to be said. “But, please, stick with me. Newcastle are working on a deal with West Brom that would see the burly centre forward remain on Tyneside beyond the end of the season. The most likely scenario is they extend the 29-year-old loan for another year in return for Jacob Murphy heading to The Hawthorns this month. “It all seems overly complicated to me, but West Brom would want around £15m to sell this month, yet Rondon will only have 12 months left on his contract when he is due to return to them in June. Importantly, he does not want to go back to the Midlands as he is thoroughly enjoying his time at Newcastle. I struggle to see how West Brom would agree to another loan – especially if all they’re getting in return is Murphy until the end of the season – however this would be a huge boost for us. A permanent deal would be the ideal scenario for us, but having him secured for the 2019/2020 campaign would be a huge relief given how key he’s been this season. Could we now use Gayle or Hayden as another bargaining tool? Time will tell..
Benitez reveals why he signed Antonio Barreca – & names the left-back’s top 3 attributes..
You must be thick if you think WBA will loan Rondon to NUFC for another season while he only has 12 months left on his contract !!!??? Surely they will just sell him in the summer rather than let him go for free, in exchange for jacob Murphy on a 6 month loan deal? Lazy attempt at generating ‘news’ ….. do your research. We’re sharing what a reputable north-east reporter is saying on the deal – not telling you that West Brom will definitely accept a deal we appear to pursuing. I therefore presume your comments are directed at Luke Edwards, not us..
Albion want Gayle as part of the deal plus cash so whoever thinks that Murphy is also gonna be part of the deal on loan us mistaken.